Here is the third set of photos I made of, “The Werehouse?” while visiting Holyoke, Massachusetts in July of this year, (2015). The place is owned by Mr. James A. Curran, who had the foresight to collect and save many items for posterity. Once again, if you’re into antique machinery and other old items, this is the place to go in the area. 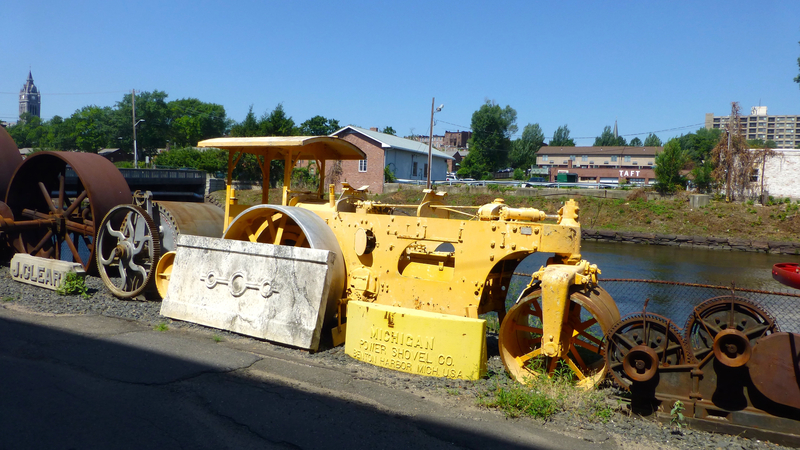 This is a roller used in highway construction. 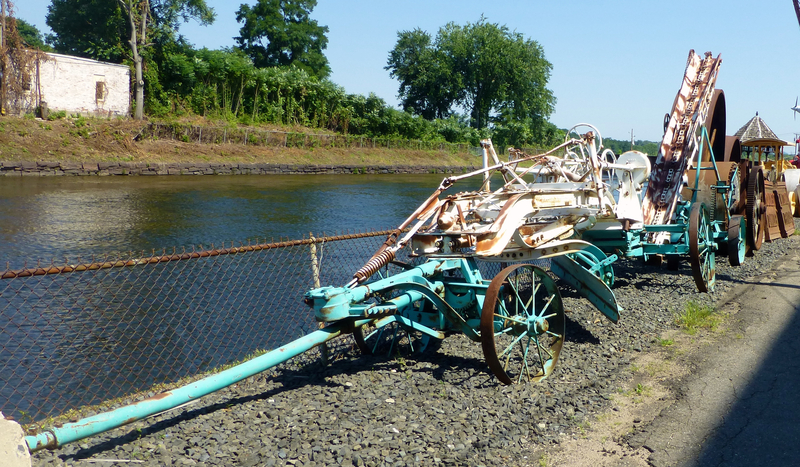 It sits among various wheels and other artifacts. 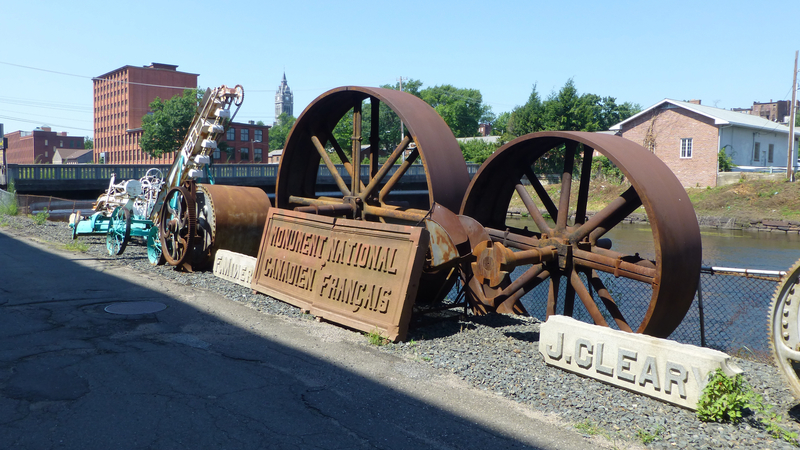 Someone made this art piece consisting of wheels and pulleys. They appear to be attached to some type of drill. 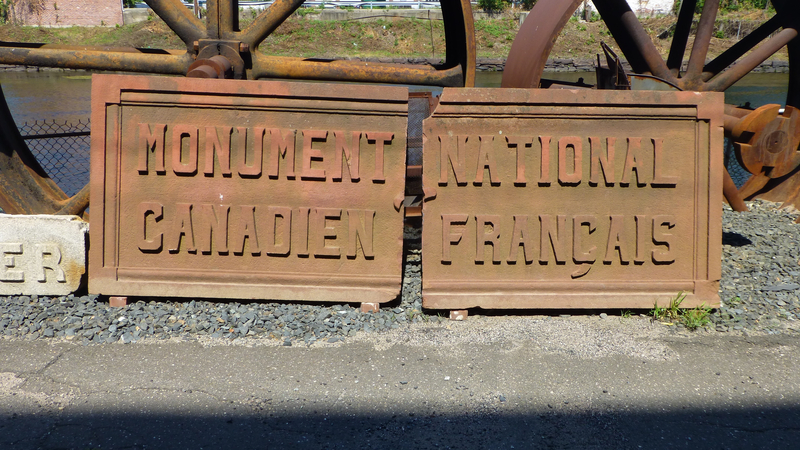 This rusty, metal sign came from a Canadian company probably based somewhere in Quebec provence. I guess companies liked the name “National”. It sits with some axels. The Monument National sign is propped up by two huge wheels. 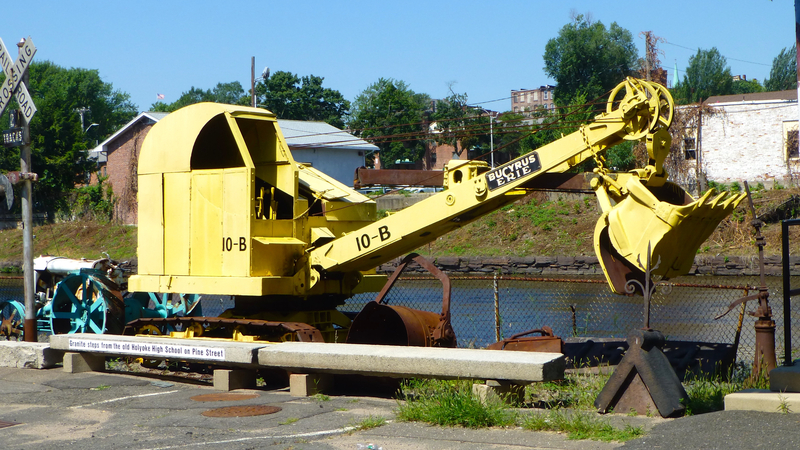 This is an old, land grader with an attached device for moving materials into a truck. It looks like it had been pulled by a vehicle. 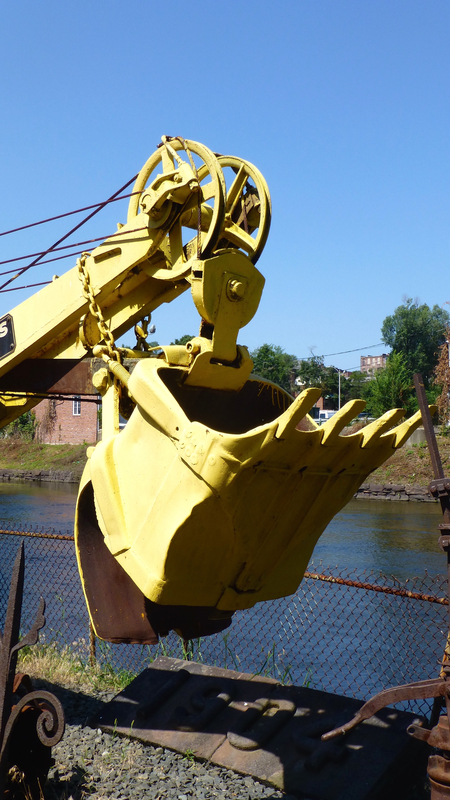 This is a closer view of the excavating shovel I shot from afar in a previous post of the place. It could be the Michigan Power Shovel mentioned in the yellow sign above, next to the roller machine. It had a decent sized bucket. Here’s the fire engine from last post. As you can now see, the extension ladder reaches well above four stories.